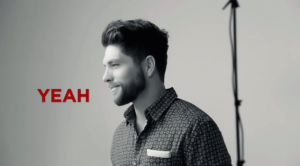 NASHVILLE, Tenn. (Oct. 30, 2015) – Big Loud Records buzzed-about recording artist Chris Lane is releasing his new single “Fix” to Country radio today (10/30). The hot new track is the lead single from Lane’s highly-anticipated EP FIX debuting Nov. 13 and is currently available across all digital retailers here. Written by Sarah Buxton, Jesse Frasure and Abe Stoklasa, the song is a vibrant jam about finding that one person who gives you exactly what you need. Lane delivers it with a southern voice and a sophisticated touch, announcing the arrival of a new brand of country star – one with a keen ear for what fans are listening to today. “Fix” showcases his impressively natural singing style and wide vocal range, especially in the upper reaches of his register. Accidentally discovering his gift for the falsetto while working in the studio with acclaimed Producer Joey Moi, “Fix” set the tone for the fast-rising star’s project. “I had five or six songs almost finished for the EP and then came ‘Fix.’ The song completely changed the direction for the rest of the project and helped me develop my own unique sound. It was crazy! I found something I didn’t know I had, and quickly embraced it,” shared Chris Lane. Celebrated by ROLLING STONE as one of the “10 New Country Artists You Need To Know,” Lane ascended into the national spotlight topping several 2015 “Artist To Watch” lists including TasteOfCountry.com, TheBoot.com, Spotify, #CMChat, and landed as a Top 5 finalist in Macy’s iHeartRadio Rising Star contest. Paving the way towards his career in music, Lane started playing sold-out club shows near his hometown of Kernersville, NC then continued on to open for Brett Eldredge, Thomas Rhett, Chase Rice and tour with heavy-hitters Florida Georgia Line, Nelly, Jerrod Niemann, Lee Brice and more. Currently, Lane is gearing up to hit the road and share his new music with fans on Dustin Lynch’s nationwide HELL OF A NIGHT TOUR, which kicks off in Richmond, VA on Nov. 14. For tour dates and more information, visit http://www.iamchrislane.com.